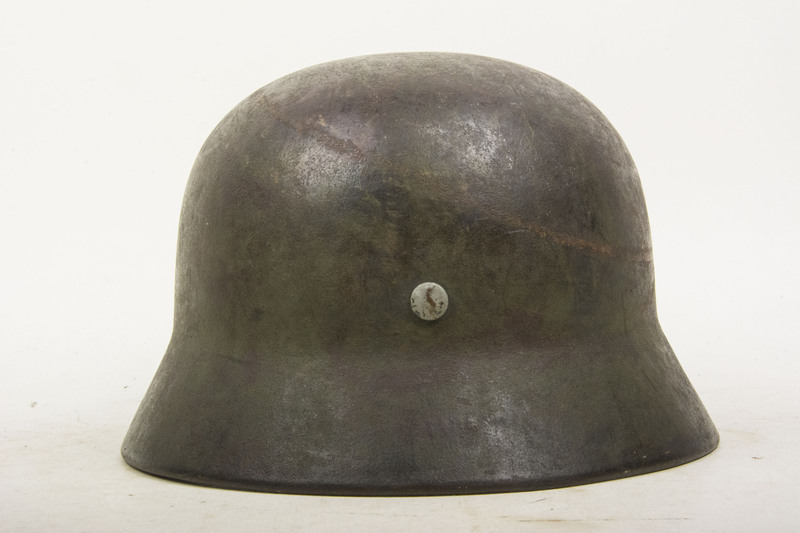 Stunning M40 subtle field division Ex-netted camouflage helmet. 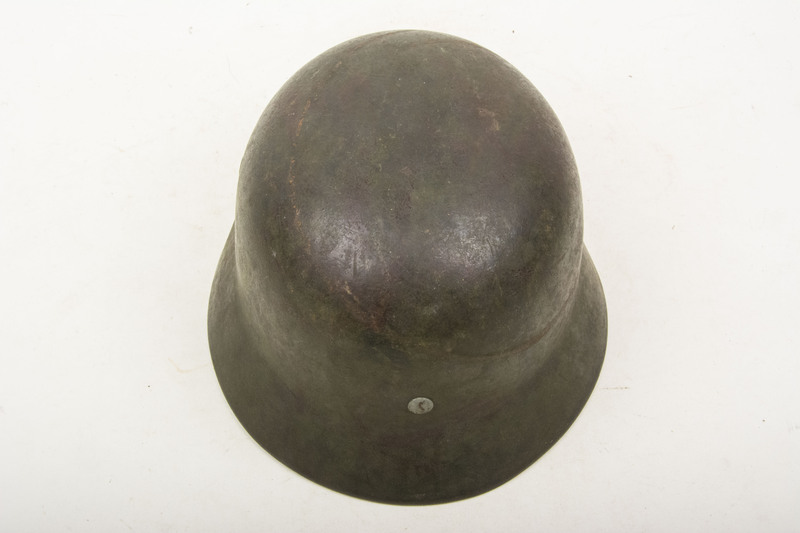 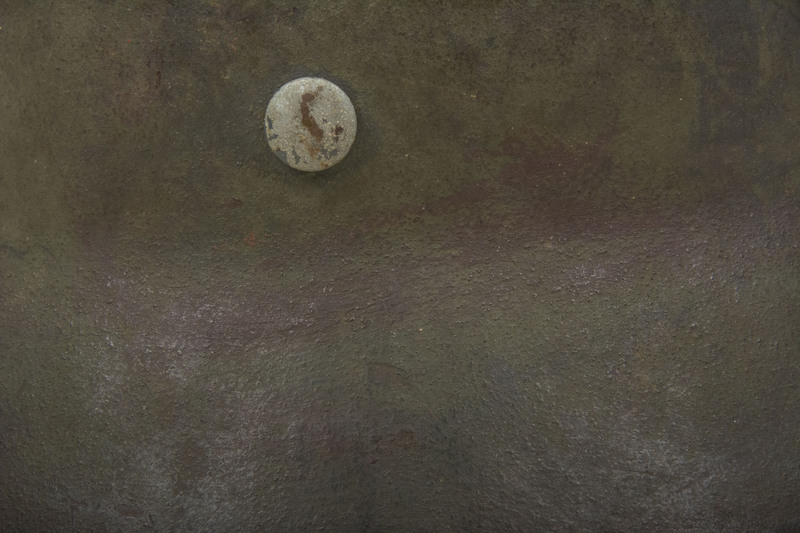 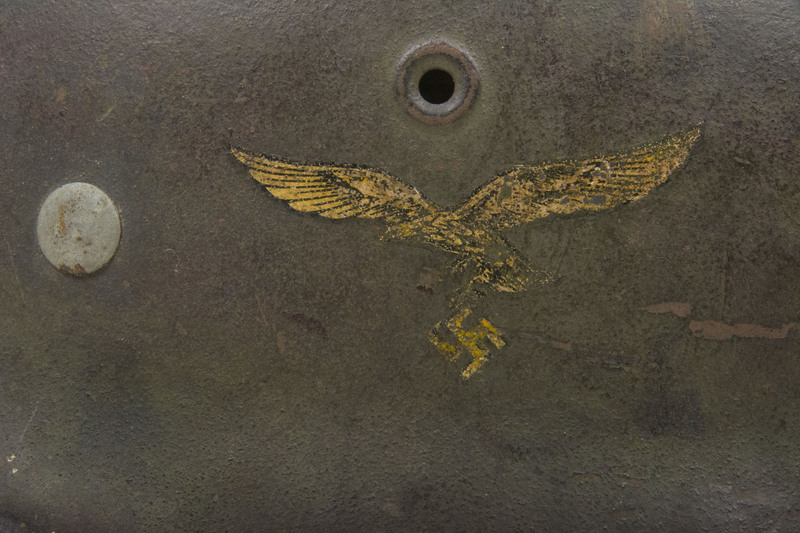 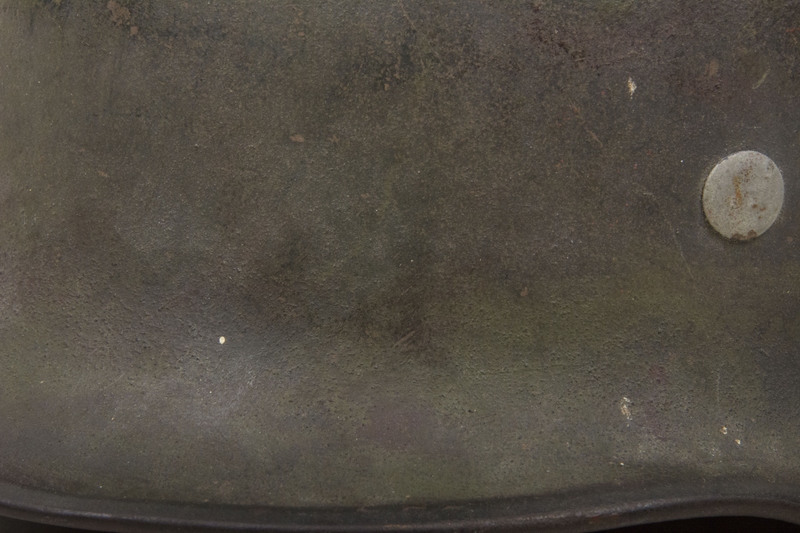 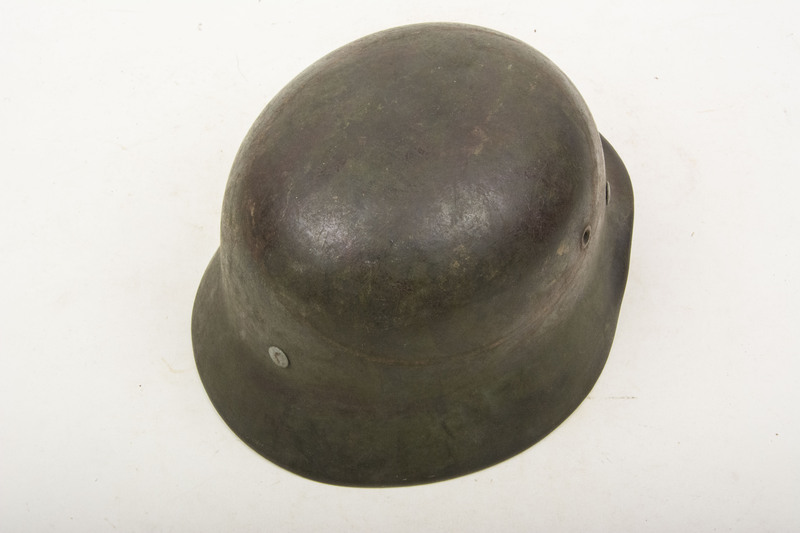 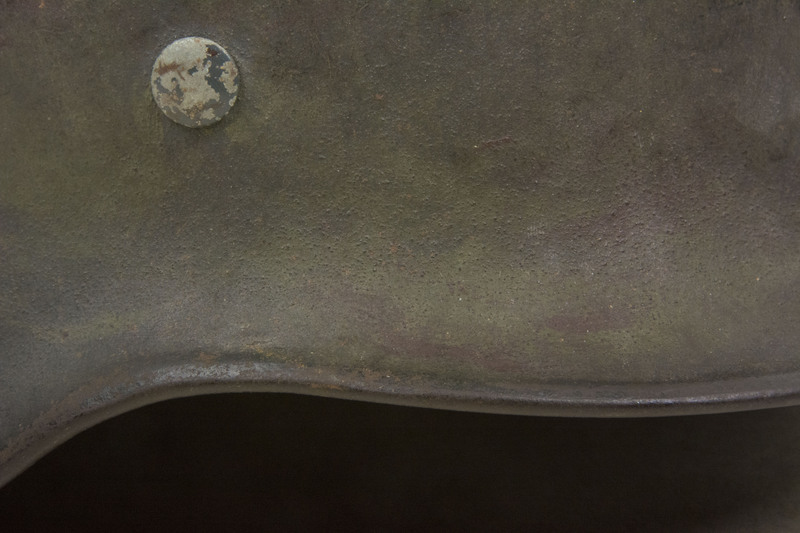 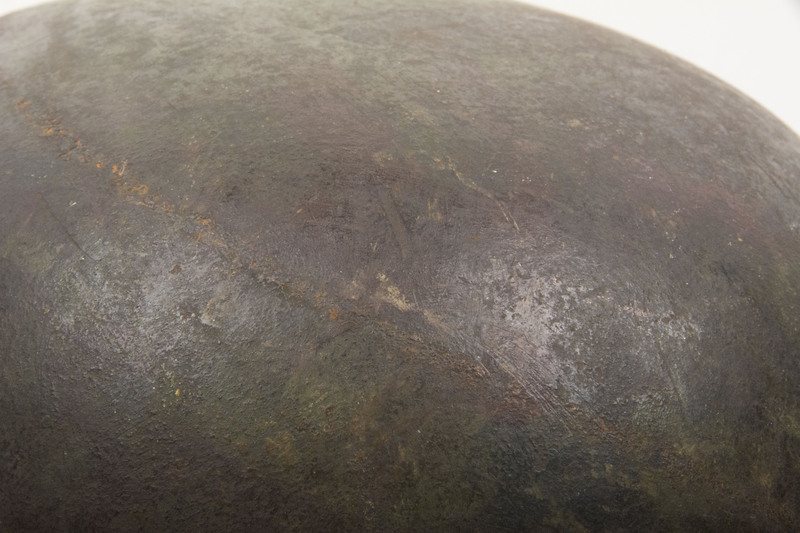 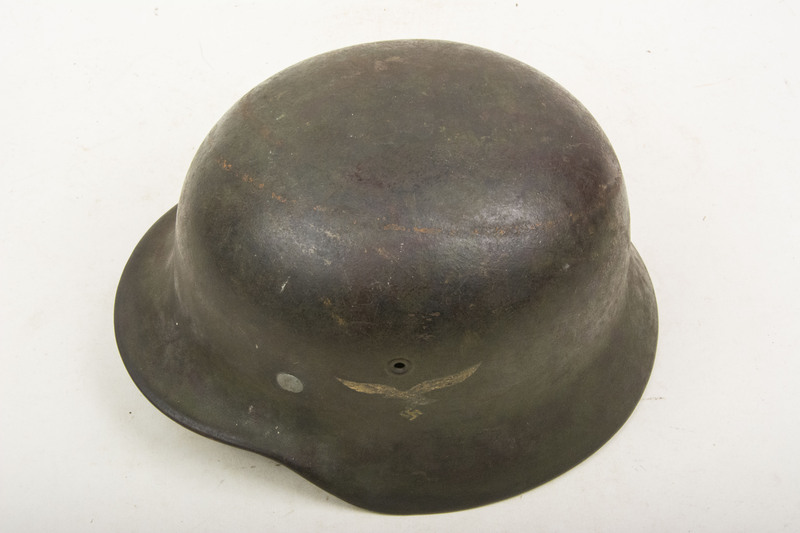 A great original Luftwaffe camouflage helmet camouflaged with green and brown tones externally. 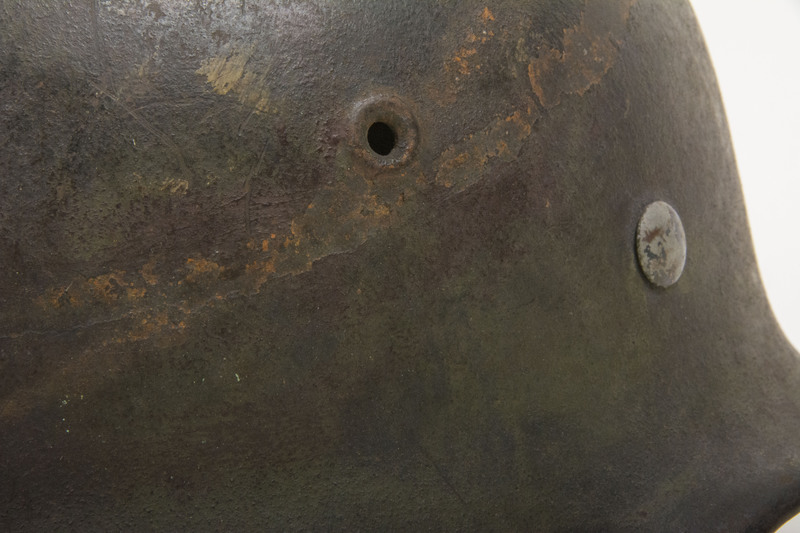 Looking between the liner one can see the remnants of a Tarnnetz that once addorned the exterior of the shell. 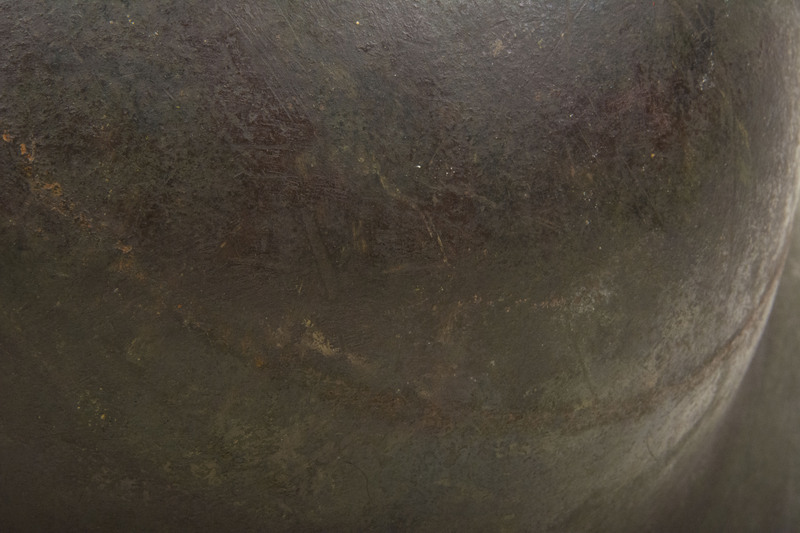 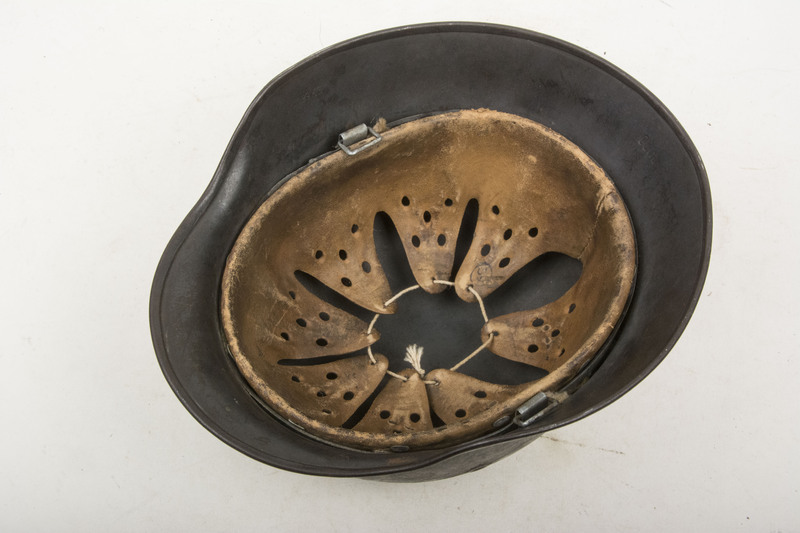 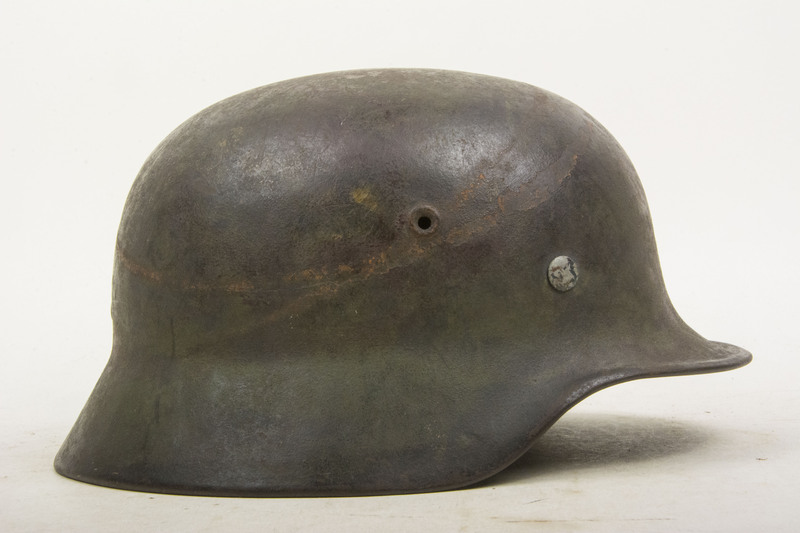 A nice large sized helmet in very good condition! 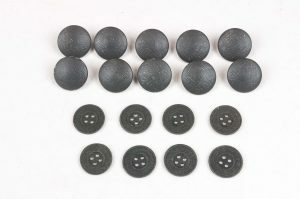 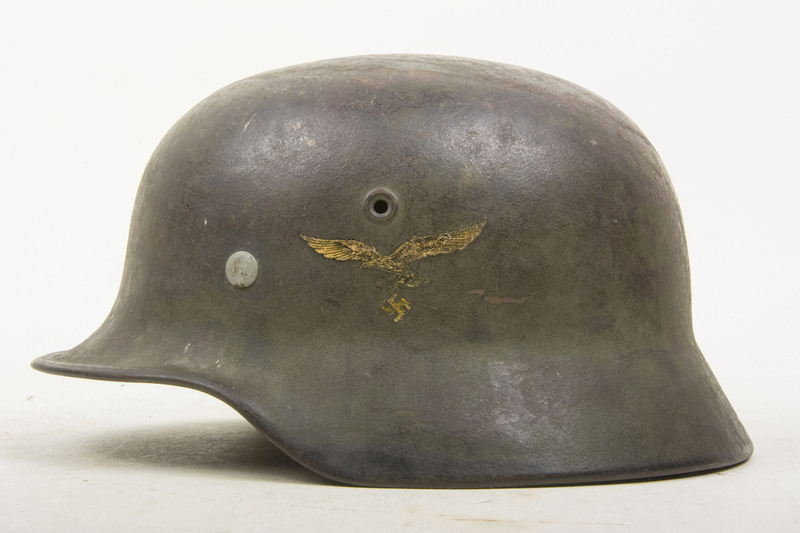 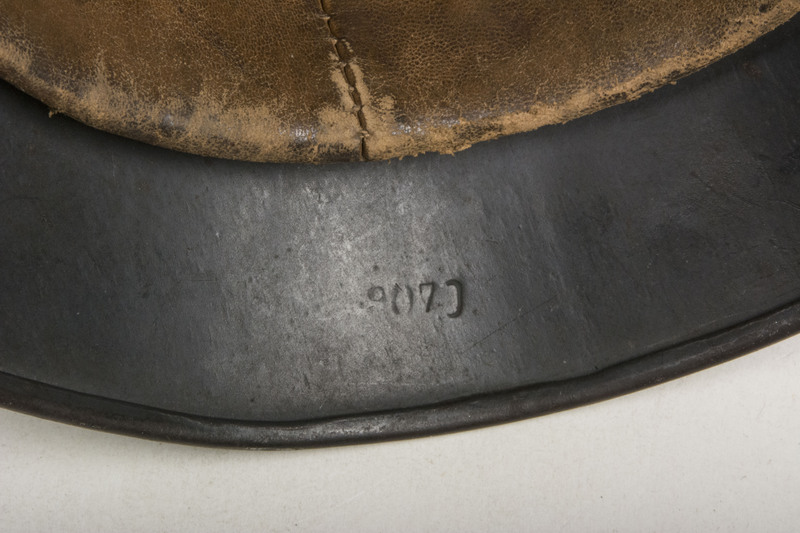 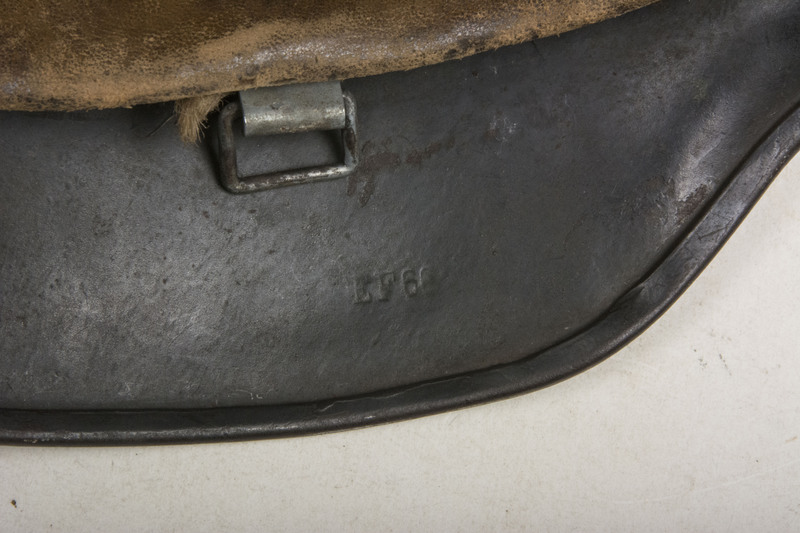 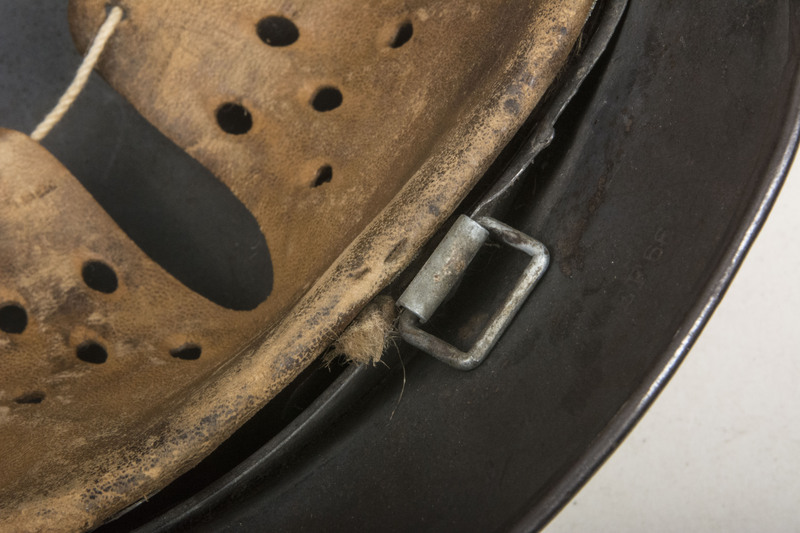 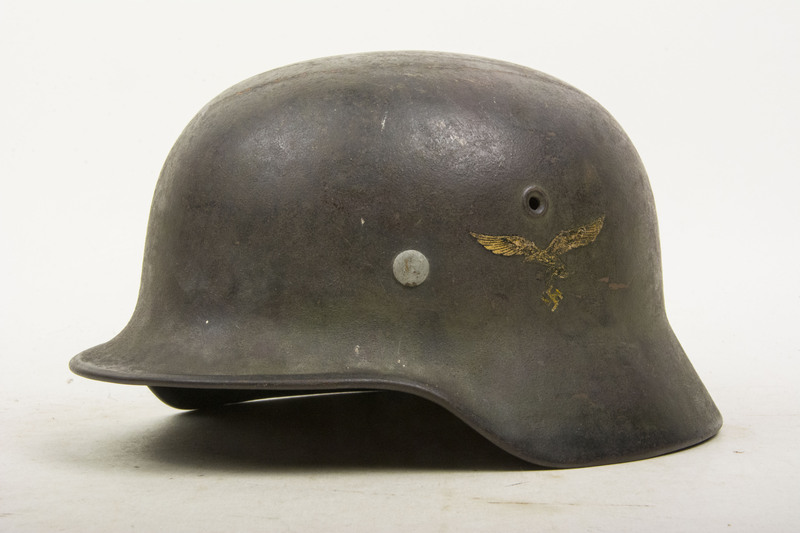 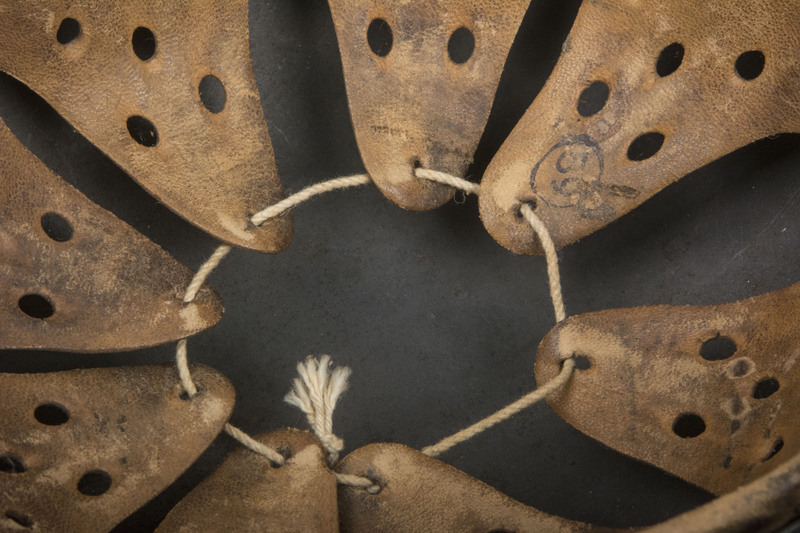 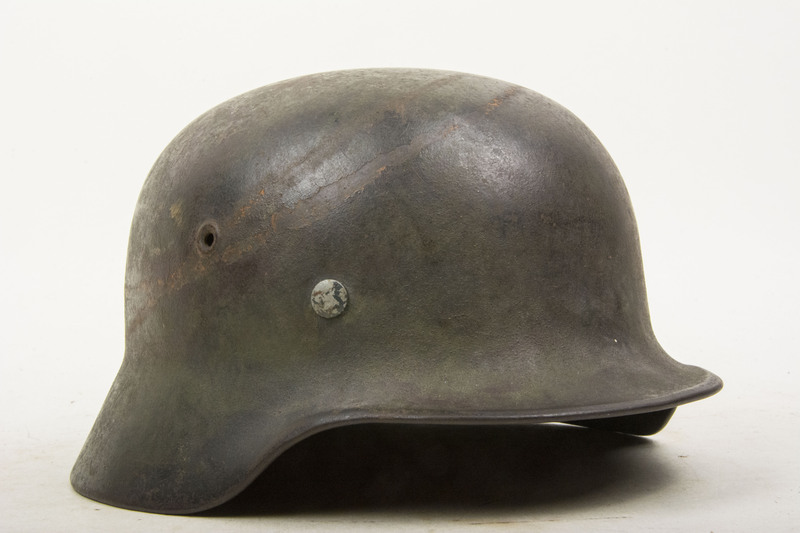 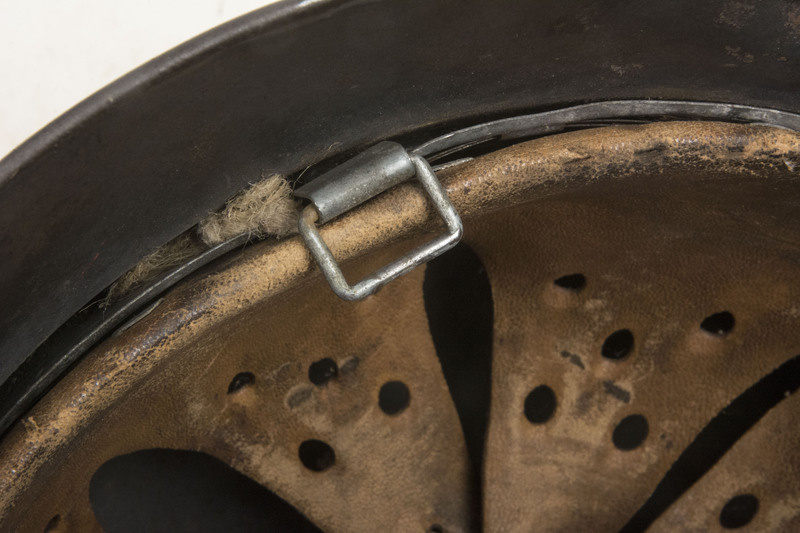 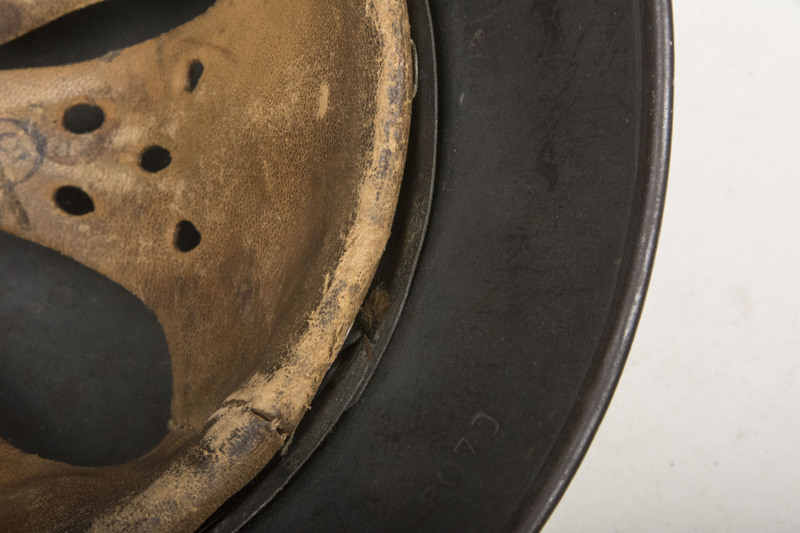 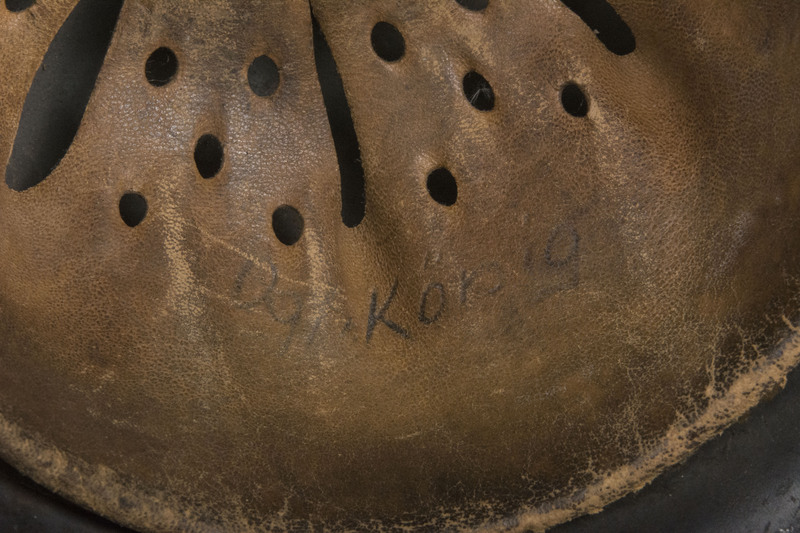 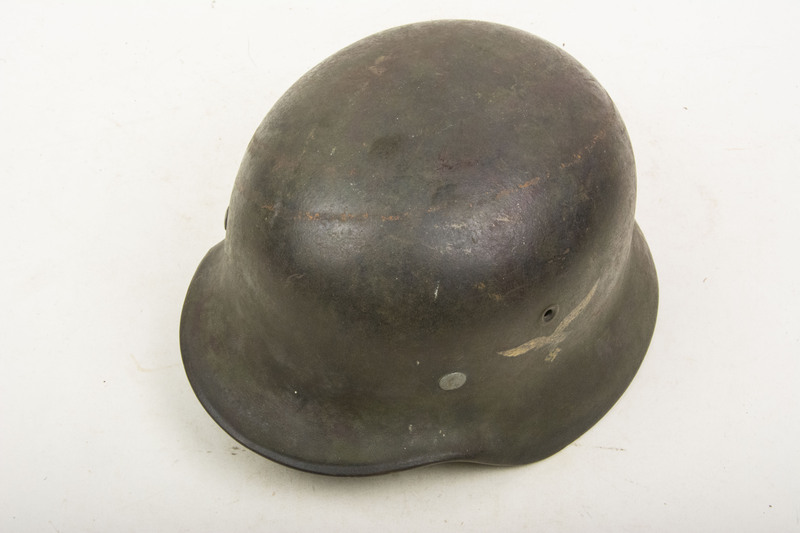 The helmet retains its original liner and toned Luftwaffe decal.